GIVEAWAY TIME - OH Yes I did it again! Fellow blogger Kristin Jackson is the woman behind The Hunted Interior. Kristin is an Interior Designer and DIY'er. I became a sponsor late last month and have enjoyed scouring her blog posts for all things home decor. 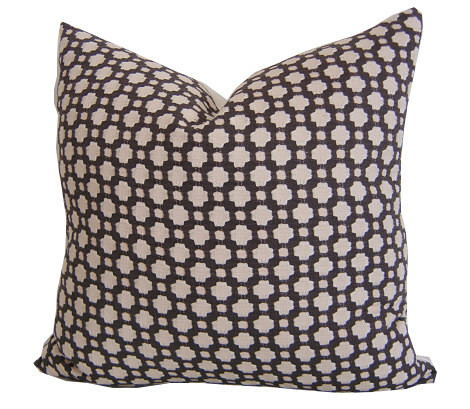 So hop over to the Giveaway and enter for a chance to win a set of these pillow covers. Go now! No really go NOW!!!! It's ALL Greek Key to me! The meander motif took its name from the river Meander, a river with many twists, mentioned by Homer in Iliad. The motif is also known as Greek key or Greek fret. Meander was the most important symbol in Ancient Greece, symbolizing infinity or the eternal flow of things. 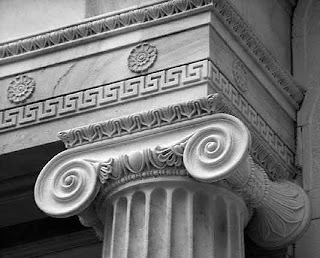 Many temples and objects were decorated with this motif, and it is considered that there is a connection with the Cretan labyrinth. This design is everywhere in today's decorating. Most commonly used in textiles, the design element is showing up as accents on furniture, giving us many options to incorporate this versatile graphic in our homes. 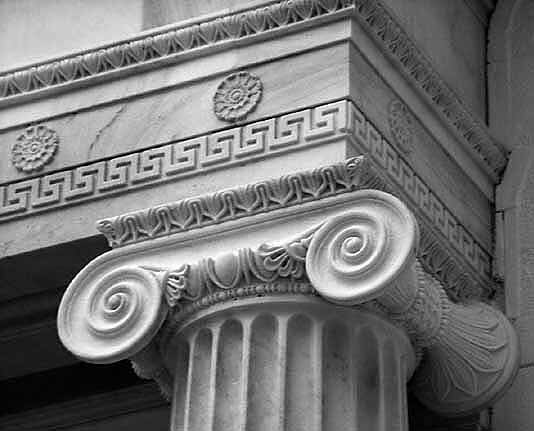 Greek key has often been considered a motif for traditional décor. But by uing it in bright bold colors like pink and blue, it becomes more modern.